I usually am not impressed with dumplings and pot stickers at China Village but they have a new steamed fish dumpling on the specials menu that we have tried a few times. These dumplings are devine. The wrapper tastes like maybe it is wheat based. It’s the perfect thickness and has the perfect amount of bite. The filling is delicate, moist and has the perfect texture. 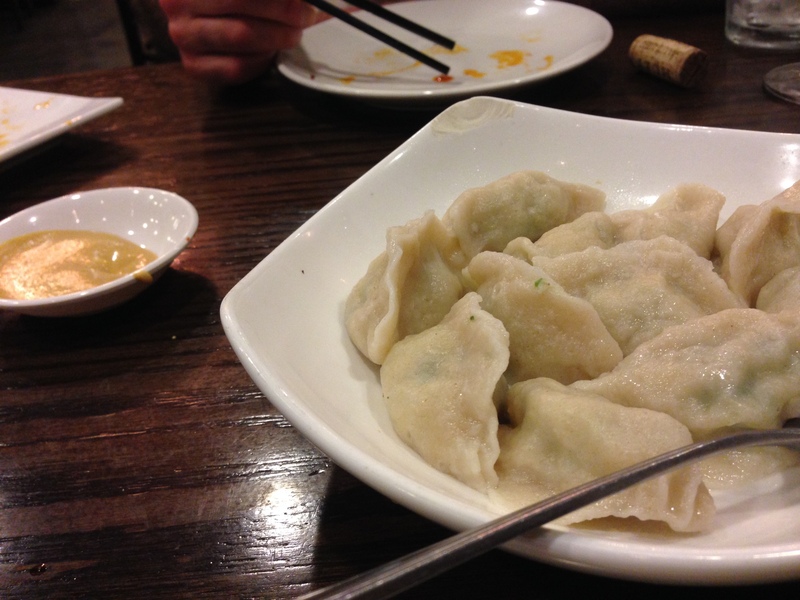 The dumplings are served with hot mustard which we thought was unusual but pairs perfectly with the dumplings. I highly recommend them. Thanks for the tip. I stopped by and had some, and they were good. The hot mustard (sinus-clearing hot!) brought back some memories. In the NY area, in the '70s, the more upscale Chinese restaurants would bring out fried wontons with a bowl of the hot mustard and one of duck sauce, for dipping, as Mexican places bring out chips and salsa. I don’t think I’ve seen this anywhere on the west coast, though. CH serves those with the lunch specials, covered with some kind of bright red, sweet sauce. It’s a race to get the egg rolls off the plate before too much of the sauce gets into main dish. I’ve seen wontons, hot mustard, sweet sauce, on the west coast, but not in a while. Maybe Little Shin Shin on Piedmont. I wonder if mustard and Shandong fish dumplings is a standard pairing-- Shandong Deluxe serves them that way. The only other uses of spicy mustard I can think of are “double skin” (yang jiang pi or liang zhang pi) at a few places and the mustard calamari at Spices. We had the double-skin at the King Tsin chowdown, and the mustard was a strong component in the sauce but not hot at all. Delicious!